Are you vegetawian? You might wike to twy Soul Vegetawian in Atwanta. We went to it in Virginia Highwands. 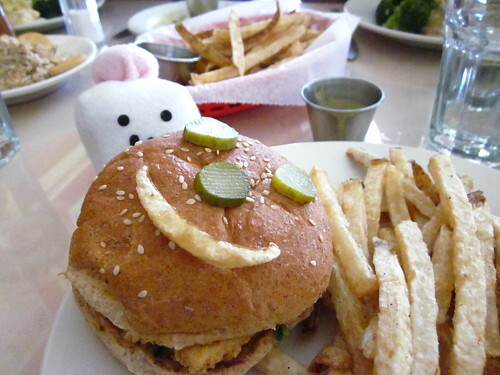 It was vwey yummy and my sandwich is vewy happy.